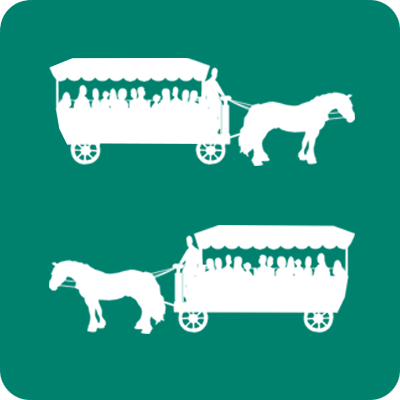 Let yourselves be pulled along by the rhythm of the Comtois horse. 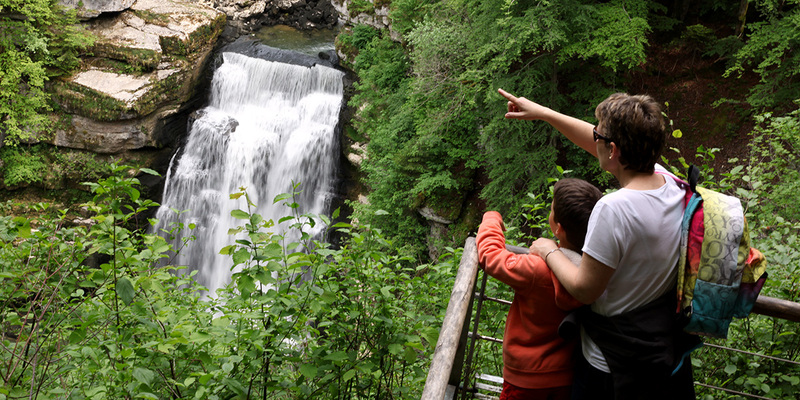 Discover the spruce forests and green pastures of the Haut-Doubs, Lake Chaillexon and the Saut du Doubs basins classified “Grand Site National”. 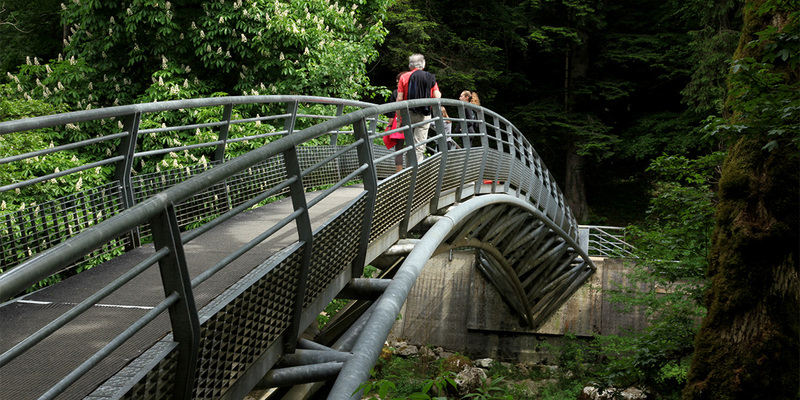 Choose the option that suits you and enjoy the best of the HAUT DOUBS. 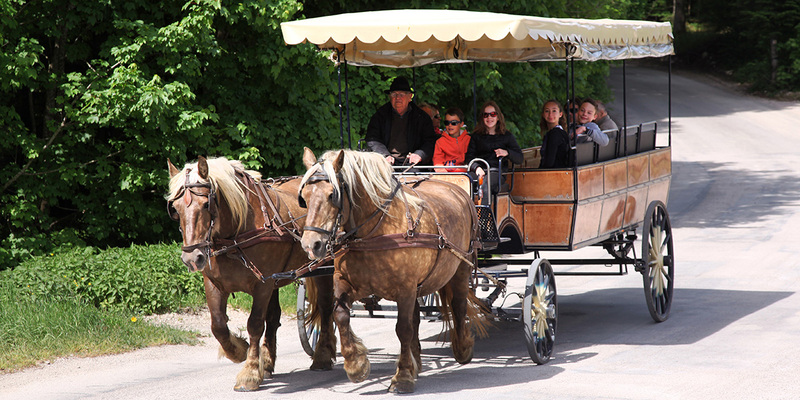 Our different excursions allow you not only to enjoy the breathtaking scenery but also to learn more about the site and the region with playful comments on board the carriages and boats. Download the new brochure, Season 2019. 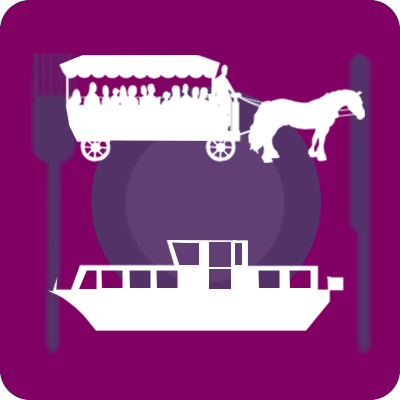 To combine pleasure, promenade and regional cuisine, opt for the carriage with a meal plan. Arrival. Starting at 11:30 – Jura Wine and Comté cheese tasting at the Relais des Caleches. Regional menu. Lunch at the Relais des Caleches: Regional paté, Smoked sliced ham on the bone and Morteau sausage, vegetables, choice of cheese and Seasonal local dessert. Starting the ride. 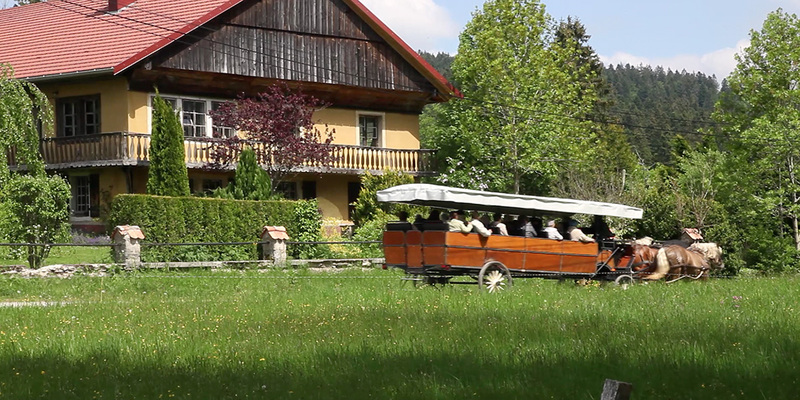 Boarding carriage at 1:45 pm to the waterfall of the Doubs. Return by boat. Return shuttle driver. 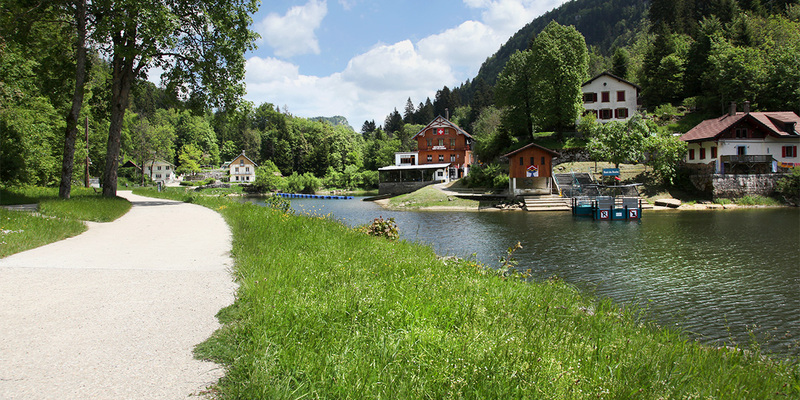 On arrival of the boat, the driver will be escorted to his car at the Relais des Caleches. 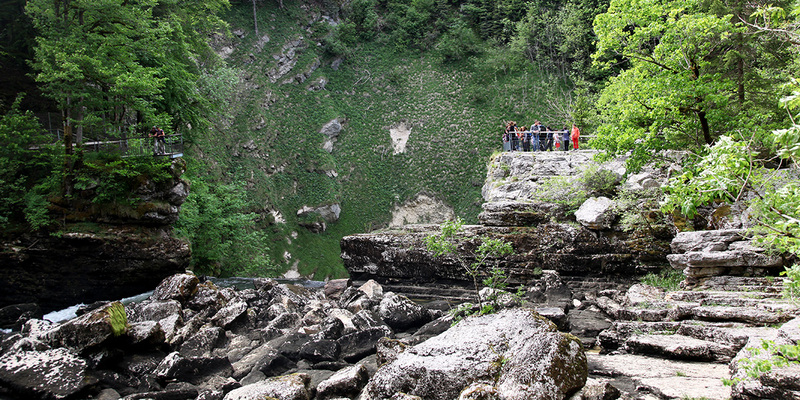 Visit the Belvedere of the Doubs basins, move on to visit the Saut du Doubs waterfall, visit the falls and return through the basins by boat. 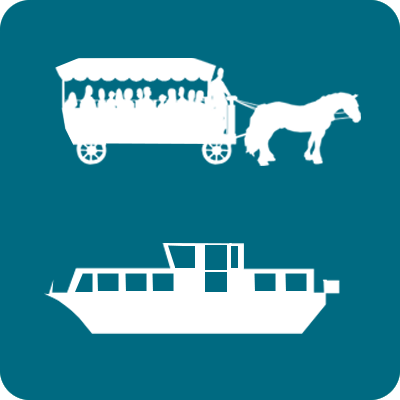 Duration of trip carriage and boat (2:30). Departure 9:45 am 10:45 am 1:45 pm 4:45 pm 3:15 pm E.T. Every day in July and August. Reservations required April, May, June, September and October. Return shuttle driver. On arrival of the boat, the driver will be escorted back to his bus at the Relais des Caleches. 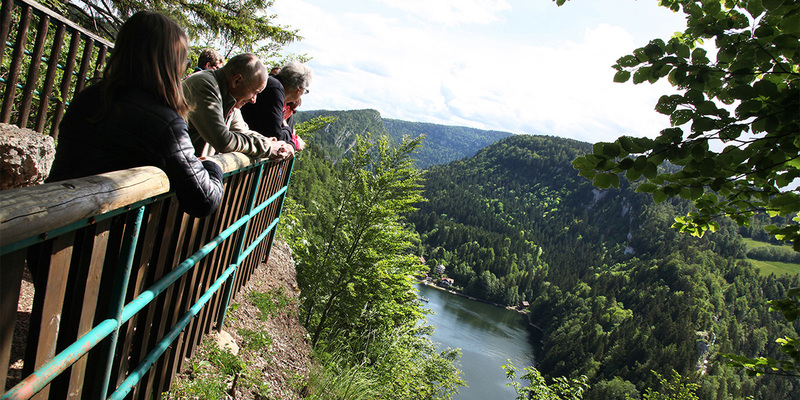 Carriage ride on the ridges of the Gorges du Doubs, discover the landscapes, Doubs Basins and its Belvedere. Easy and convenient, CALL +33 (0) 3 81 68 09 03. A fondue aboard a horse-drawn carriage on the crests of the Gorges du Doubs.